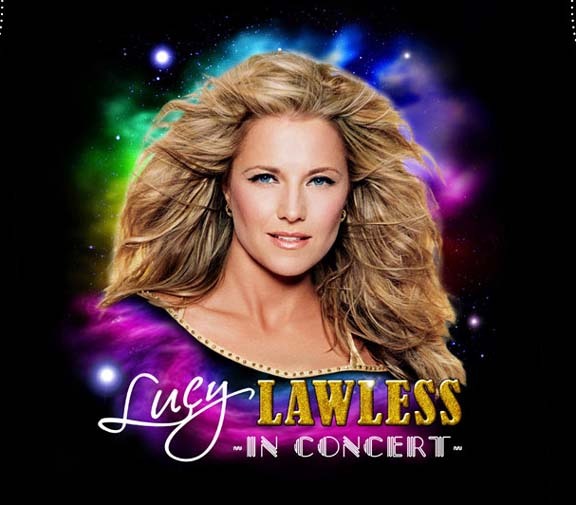 Recorded LIVE at the world famous ROXY Nightclub in Hollywood in January of 2007, the incredible LUCY LAWLESS debuts her "Come to Mama" Concert before a sold-out audience of enthusiastic fans. Here, offered for the first time, is the live recording that captures all of the excitement of this magical evening. You folks have written such glowing reviews of Lucy's Roxy concert, we thought we'd put up a clip (click on image for QT) for those who haven't seen it yet. 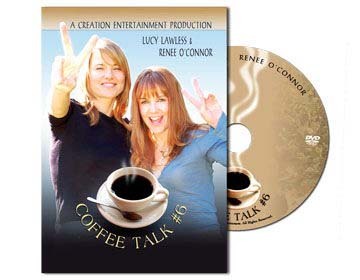 This is Lucy and Renee doing "What'd I Say." Meanwhile, Lucy's preparing for the New York show and I filmed her first rehearsal with her musical director, Michael Orland. She's putting in 5 new songs and new costumes -- one of which she described as "liquid metal"! Here's the first concert clip -- Lucy doing "I'll Stand By You" -- her thanks to all the fans for their support through the years and in everything she's done. This is just the main camera. We also had two guys filming from all different angles on the stage and from the audience. When we put it all together, there won't be a moment missed. And for those who couldn't make the show, we've captured it all for you. Finally coming down from this weekend. I've never seen anything like the gang that was out to support Lucy at her very first concert. From the out-of-towners to the local go-go dancer dressed in blue <G>, this was truly a night to remember. Lucy was down in New Zealand rehearsing with a fantastic pianist and arranger friend of hers, Jason. He'll also be part of her band at the Roxy. The band, complete with backup singers, had their first full rehearsal tonight. It was fascinating watching the songs come together. Here's a peek at some of the merchandise we'll be offering. The first image is on a short-sleeve shirt. 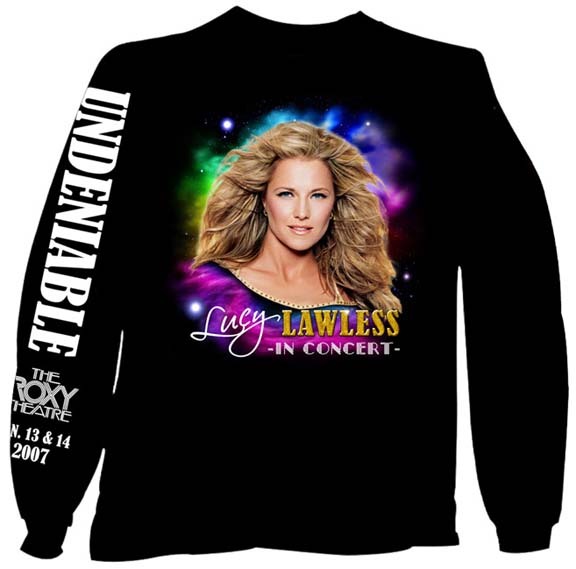 The long-sleeve version has"Undeniable"written down the side of the sleeve. The third item is an 18x24-in poster. I've hired a new assistant. No, actually, Lucy was in our offices working on the concert merchandise with one of our artists, Madeline. If you look on her monitor, you can get an idea what they're working on. It's spectacular and you're going to plaster your walls with them! 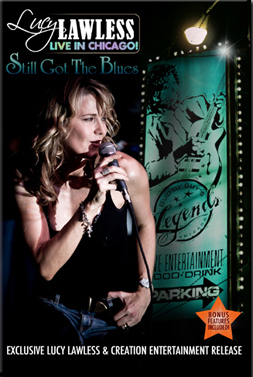 We're creating some terrific merchandise for Lucy's concert. Bags, jackets, posters, t-shirts and other apparel. Here's a sneak peek at the logo.